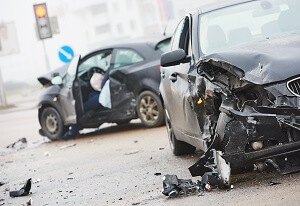 Everything You Need To Know About Underinsured Motorist Insurance | Pothitakis Law Firm, P.C. I’m sure you’ve seen the phrase “underinsured motorist insurance” (UMI) pop up from time to time as you compare rates and insurance companies. That type of insurance may seem unnecessary; after all, everyone who owns a car has adequate insurance, right? Though almost every state in the country requires auto insurance, many only require the minimum coverage, which may not be enough to cover some accidents. If you find yourself in an accident caused by someone with deficient coverage, you might find out all too quickly that your full-coverage auto insurance isn’t enough after all. What Is Underinsured Motorist Insurance? When you get in an accident and the person at fault is unable to cover all of the expenses, UMI picks up the slack. Even a fender-bender can cause thousands of dollars in car repair and medical bills to cover the effects of whiplash. Imagine how much it would cost if your car was totaled and you and others in the car were hospitalized. A UMI policy relieves some of that suffering by at least covering the expenses for you. Who Needs Underinsured Motorist Insurance? A handful of states require the policy; you can find a list of those states on most insurance agencies’ websites. Even if your state does not require UMI, it is strongly recommended that you get it. According to Progressive, an estimated 15 percent of drivers either fail to meet the minimum insurance requirements or they have the minimum coverage, but it is not enough to cover all of the expenses associated with many accidents. Obtaining a UMI policy is a small price to pay compared to the large bills you will be faced with if you are in an accident with an underinsured motorist. Next PostNext What Do I Do After A Car Accident?